Peerless faucets should last for many years with proper use and maintenance. But, even a Peerless faucet can develop a leak. 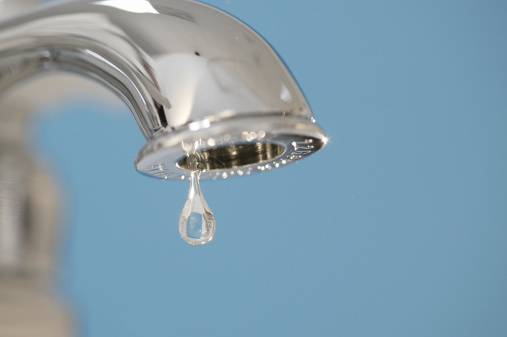 Generally when a faucet leaks it means that water is getting by the valve stem or cartridge or there is a bad washer if the faucet has a washer. Replacing the valve stems on a two-handle model or the cartridge on a single-handle model will cost about $20 in parts, according to 2010 prices. Turn off the water supply underneath the sink; valves should be turned to the right. If no shut offs exist under the sink, the main water shut off for the entire house should be closed. Pry off the button cap on top of the handle. Unscrew the screw which holds on the handle and remove the handle. Remove the washer if there is one. Pull out the horseshoe-shaped retaining clip toward the bottom of the valve stem using needlenose pliers. Remove the valve stem by grasping it firmly with regular pliers and twisting it until it comes out. Place some all purpose grease in the cavity and on the valve stem and place the valve stem in the cavity. Make sure that the hole on the valve stem points toward six o'clock. Reassemble the faucet by reversing the process used to disassemble it and replace the washer if there is one. Turn on the water. Stop the supply of water to the faucet. Locate the shut offs under the sink and turn them off. If the faucet does not have individual shut offs under the sink, the main water supply for the entire house must be used to stop the supply of water. Locate the Allen set screw at the base of the handle and remove it with the proper size Allen wrench. Remove the handle and the metal collar underneath by hand. Remove the horseshoe-shaped retaining clip around the cartridge using needlenose pliers. Pull out the cartridge with regular pliers by twisting it while applying upward pressure. Place grease in the cavity and on the cartridge and place the cartridge in the cavity making sure that the hole on the cartridge is pointed to six o'clock. Replace the washer and reassemble the faucet by reversing the process used to disassemble it. Turn on the water.